A welcome lobby that redirects to the event exhibition area and chat rooms where job seekers can connect with employers. Visit the Virtual Event Hall to see participating companies and recruiters. Access the online booth for your employer of interest by clicking on it. Scroll left and right to navigate the Virtual Event Hall. Learn more about participating companies, their corporate culture and apply for available vacancies. Click on the Chat tab to connect directly with recruiters. 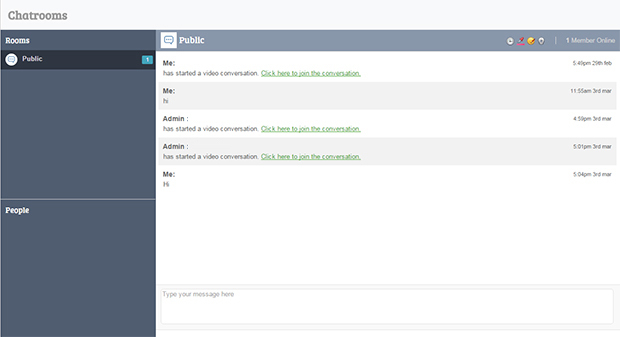 Visit the chat room to engage with companies, recruiters and other job seekers through text, audio and video chat.